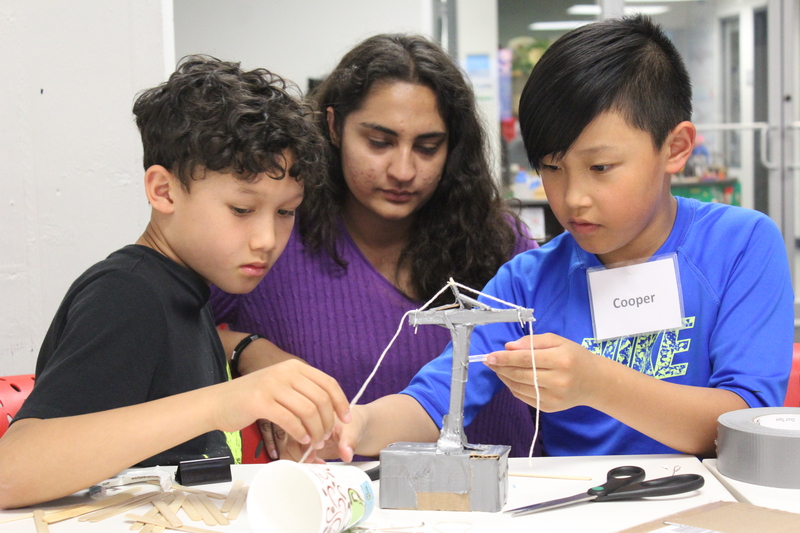 Here at the Tufts Center for Engineering Education and Outreach (CEEO), we are constantly testing new equipment and activities to teach engineering to kids. To help us, we need kids who are willing to try out the new tools and projects to see how well they work. The E-TEAM consists of twenty students from third through fifth grades. These participants come to the CEEO once a month to help test new educational tools and curriculum for Tufts researchers. The students get a chance to participate in cutting-edge educational research and play with some cool new toys, and the researchers get concrete feedback from a group of enthusiastic and candid kids. This year, E-TEAM is starting out by testing a potential activity for the Role Models in Elementary Engineering Education (RMEE) called “Make an Engineer”. In this activity, students will create a LEGO version of themselves, and then design a scene in which their minifig is engaging in engineering. Other projects this semester will focus on testing different projects focusing on Engineering Education.